As we have discussed on other posts, there are many millions of blogs out there on the Internet and this prompts the question of can you make money blogging? There are certainly ways to make money blogging and for many, writing a blog and then being able to monetize it, is an attractive business plan. Although there will always be those who are happy to write a personal blog with no reward other than the satisfaction that other people like to read their posts, the majority of bloggers write posts with the intention of making money. This is because it is possible to make significant money on a residual basis from blogging, if it is done correctly. However, when answering the question of can you make money blogging, it is important to point out that starting a blog is like starting your own business. It won’t make you rich overnight; it will require consistent effort, a steady string of well-written articles relevant to the theme of your blog and a commitment to follow a few simple disciplines daily. 1. Find your own style – use other successful and established blogs for ideas and inspiration but it is key that you make your own blog unique. This might be in terms of look and feel, your own writing style and type of content. You may need to try different things until you work out what suits your blog best. 2. 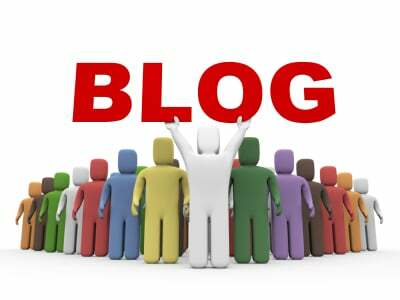 It is not a get rich quick scheme – In answer to can you make money blogging, we have established that blogging can be extremely lucrative. However, it does require serious focus and drive, a motivation to write quality content every day no matter what and an ability to learn quickly and adapt your blog as it grows. This does not happen overnight and most of the well-known, popular blogs, which make decent money, have been going for some time. 3. Make your content interesting and exciting – when people read your blog posts they need to be informed and entertained, so that they will stay on your site longer. You will develop your own writing style as you build up your posts, which needs to be good so that people will come back. 4. You won’t earn anything without TRAFFIC – This needs to be high priority alongside writing good quality, interesting content. If nobody is reading your blog then you cannot earn anything from it. It is essential to learn about and understand the basics of SEO (Search Engine Optimization) i.e. getting ranked highly by Google. This is a whole separate topic but you can drive traffic by ensuring that your posts are published widely across the web by submitting them to article directories and community blog sites. You can also increase your traffic hits by using social media such as Facebook and Twitter in order to publicise your blog posts and gain a wider readership. 5. Become an affiliate – This means that you promote products on your site. When someone buys a product that you’ve promoted (known as affiliate marketing) then you receive a commission payment. Most companies have affiliate schemes and you can align products to the style and ethos of your blog. 6. Promote products/adverts that fulfil reader’s needs – Once your blog is more established then you can sell advertising space to other companies wishing to promote their products on your blog. It is imperative that the products link in with the subject matter of your blog. For example if your blog is about motorcycles then it would not make sense to promote health products on that blog! Try and use ads/products that match your reader’s needs. 7. Pay attention to the placement of ads in your posts – We all know how annoying it is when reading a post and an ad flashes up in front of you obliterating the text. Think about where best to place ads within your posts, so that they are visible and attractive but not so that they make reading the posts difficult. Ok – So now you have learned some of my top tips for how can you make money blogging. I do hope that the above list on can you make money blogging has been helpful. Essentially, starting your own blog is a way of laying the foundations for your financial future. You do not need to be an expert in software or computing but do need that willingness to learn new things and to be prepared to work consistently to build up your blog. Some of the highest earning blogs, such as The Huffington Post make over $29,000 per day from pay per click advertising (source www.onlineincometeacher.com). If you are reading this post wondering can I make money blogging and want to get started then my best recommendation would be to join Empower Network for only $25. To find out why I believe Empower Network is one of the best ways to make money online – simply click here for a quick video explanation. You get your own blogging platform so that you can get started straight away and there is plenty of support, world class training and advice available. If you are disciplined to put the work in and follow the tips and strategies that are given, you will have a successful blog very soon! We’d love to hear from you and what you think, please like this post, tweet, share or leave us a comment. If you are already writing a successful and profitable blog then please share any other tips with us and our readers. Can you make money blogging? Most certainly you can. There are basically 3 main choices you have when wanting to start your own blog. You can either join Empower Network as mentioned above as an all in one monetised blogging solution. You can install a WordPress blog, buy your domain, hosting, theme and setup and customise it yourself. If you are looking for a more personalised approach to building your brand on your blog, then we would strongly recommend our FREE WordPress Blog Installation Service here – how to start a blog. Within 48 hours we will do all the technical setup and install your blog for you and even do some simple customisations for you so that you can get the look and feel of the blog exactly how you would like it. Others charge up to $300 for this service. We charge nothing. We charge nothing because we like to over deliver on value and we also receive a small commission for our time from the hosting and theme company. In answer to the original question of can you make money blogging, the answer is most definitely yes (and lots if you work hard)!